Snap has been one of the most shorted stocks in the US application-software sector for much of the past year. New data from S3 Partners finds that trading in Snap's stock is undergoing a shift that could put pressure on short sellers and boost shares. Snap is getting too expensive to short. It's an interesting turn of events for the company's stock, which is the second-largest short in the US application-software sector, with traders betting a whopping $1.64 billion against it. At the root of the shift was a flood of recalls from beneficial owners of Snap stock. They pulled back 5 million shares on Monday, which could force many short sellers to prematurely cover their bearish positions, according to data compiled by the financial analytics firm S3 Partners. Short sellers borrow from beneficial owners and are beholden to them if and when they decide to sell. Since those positions are closed through the purchase of the very shares traders are trying to short, it's a process that can create sharp price increases. And that's exactly what S3 expects. At the moment, the prime brokers who work on behalf of short sellers are borrowing stock from lenders who aren't recalling shares. 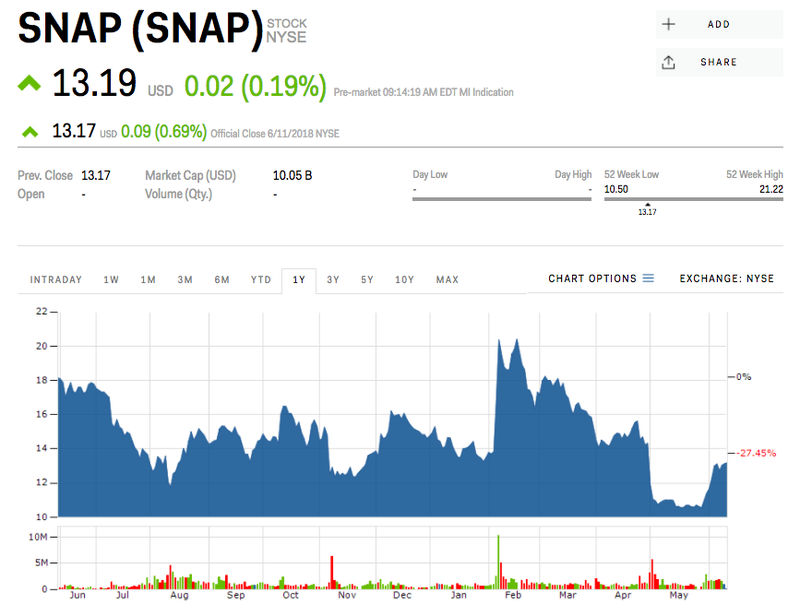 S3 predicts a Snap stock spike if they're able to keep doing so. "If there is still enough liquidity in the market, prime brokers will be able to avoid following through on their client recalls, which would force their hedge funds to begin buying-to-cover and exit their SNAP short trades earlier than anticipated," Ihor Dusaniwsky, the managing director of predictive analytics at S3, wrote in a client note. "If stock loan availability dries up, we can expect a significant amount of short covering driving up SNAP's stock price even further from its recent historical low." As you can see below, the recall activity caused a surge in the borrowing fee traders pay to short the stock. The measure averaged about 16% in 2017 before dropping to 1% in March of this year, but it rose all the way to 40% on Monday. "Stock loan recalls will make SNAP short positions much more expensive," Dusaniwsky said. "Even if prime brokers do their jobs well and cover the street recalls before they hit their clients, the new high cost of borrowing SNAP shares may drive a handful of shorts out of the trade." The stock increase expected for S3 would be welcome news for Snap investors, who have seen the company's shares drop by 49% since reaching an eight-month high in February. On the flipside, it would push short sellers deeper into the red for 2018. S3 calculates that they've lost $135.5 million on a net mark-to-market basis year-to-date. Whether the gains predicted by S3 can be sustained is anyone's guess. 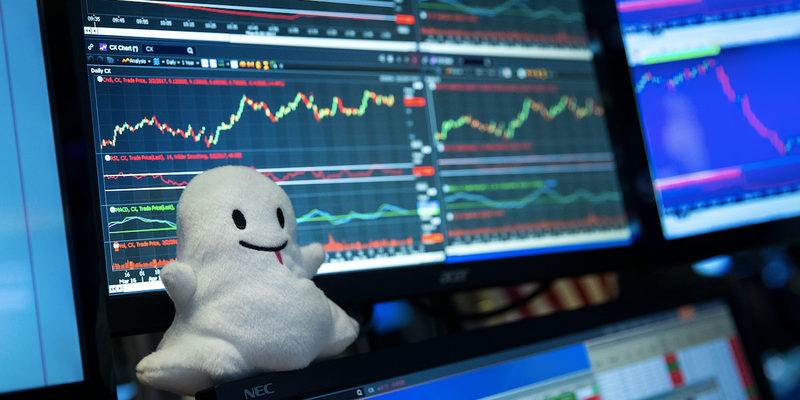 After all, beyond the inner workings of Snap's stock price lie far more important fundamental drivers that should be much more useful in assessing the future of the company.